I’ve made many galette recipes every year a different variety, several dough making lessons, tv shows teaching Helen on AM Northwest on pie makings, even savory flavor galettes too. But today we are hitting the easy button for a sweet Summer, flaky pastry dough treat. 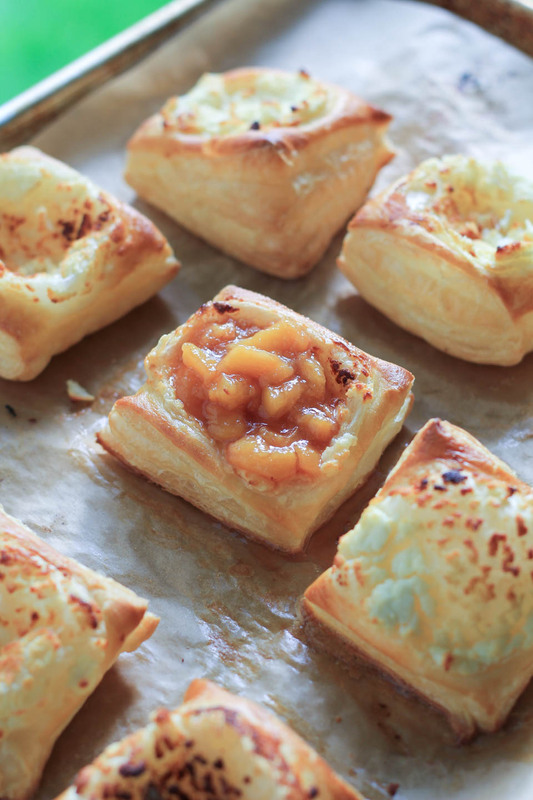 You can totally make homemade flaky dough for this dessert but if you need something a bit easier, use a puff pastry dough sheet and make these Peach Goat Cheese Tarts! I’ll be making these tarts with Helen on Wednesday June 8th from 9-10am! My Mama is home from Mexico and she is staying with us for a few days so she gets to enjoy these treats right out of the oven! She had a wonderful time with her family and childhood friends. She ate glorious food like Mexican gorditas, paella, chilaquilles, sopes, tacos, and all of the best food from my childhood at my favorite restaurants in Torreon, Mexico. She had a bit of rough patch with her health, a hospital stay, but I believe things happen for a reason. We have a huge family in Mexico and she was surrounded by each one of them, being super loving and supportive which helped her see how much she has in her life. All good things, despite what she was thinking. It lit a fire under her to take better care of herself, drink more water, and have more fun. My Aunt had a big part in this, taking excellent care of her, good long sister talks, and overall giving of love and positive energy. So she came home with her chopped off to a cute pixie cut, a bigger smile, humbled with love, and happy to be home. She’s staying with us for a bit to get back to her routine and making sure she’s eating properly and general love. With that, I need to make easier meals with all of the doctors appointments I’ll be taking her to this week and keep us all fed and healthy. That includes one sweet treat like this! You know, balance. Place oven rack in center of oven and preheat to 400 degree. 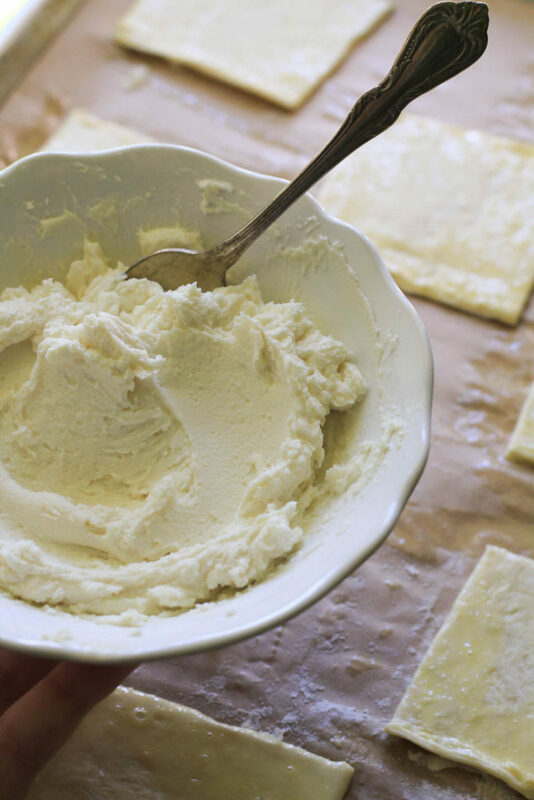 Place puff pastry on lightly floured counter. Using a pizza cutter or knife, cut into 3 inch squares. Place on a parchment covered sheet pan. Whip goat cheese with a fork until combined well and fluffy. 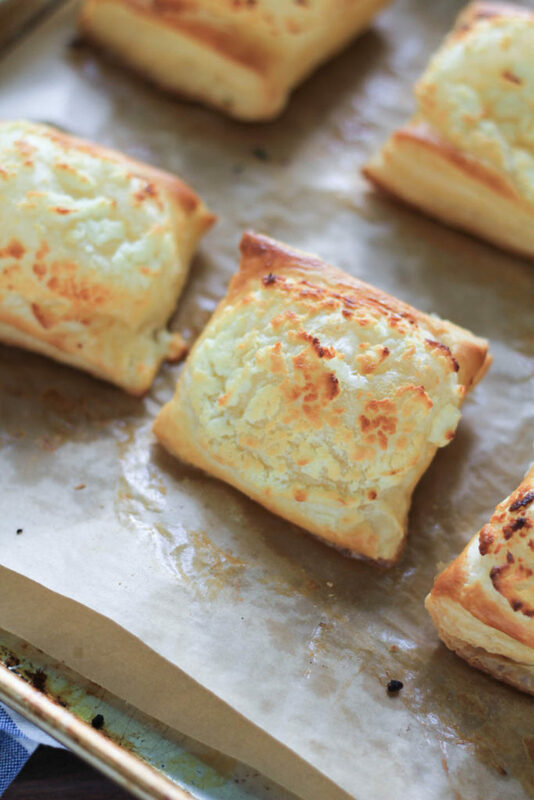 Spread about 2 tablespoons of goat cheese using a spoon or small offset spatula on each puff pastry, leaving a small border all around. Brush edges of puff pastry with egg wash all around each piece. 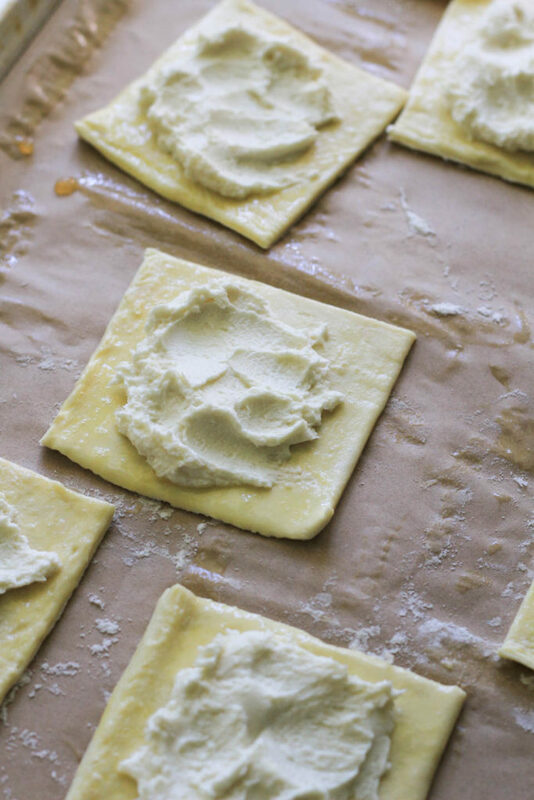 Place sheet pan in oven and bake for 20 minutes or until edges of puff pastry are golden brown. Remove from oven and allow to cool for 10 minutes. While puff pastry bakes, place peaches, lemon juice, sugar, and salt in a medium saucepan over medium high heat, mix to combine. Bring to a boil, reduce to a simmer over medium heat. Cook for 20 minutes until it coats the back of a spoon and thickened. Add a large spoonful of peaches on top of goat cheese. Serve as in or with a scoop of vanilla ice cream. Best made and served the same day, not ideal for leftovers.